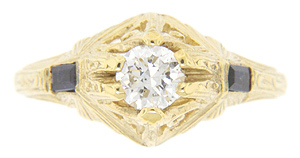 A sparkling .35 carat diamond is set in this 14K yellow gold antique style engagement ring. 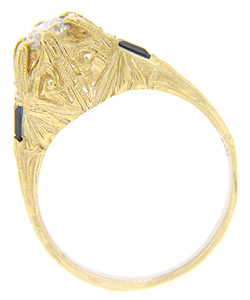 Faceted rectangular blue sapphires decorate the shoulders while intricate engraving covers the ring's visible surface. 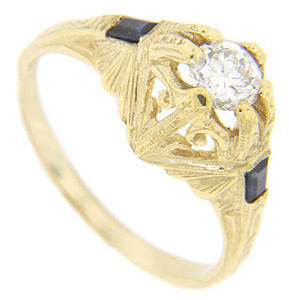 The ring measures 10mm in width. Size: 6. We can re-size.